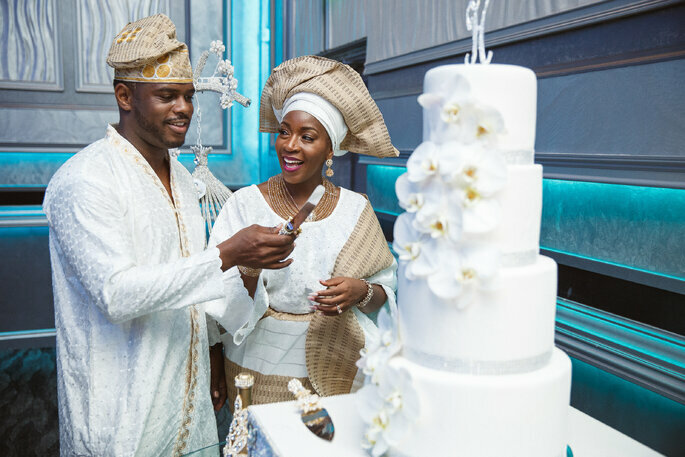 Meet Dunnie (@missdunnieo), a special events producer with a huge following on Instagram thanks to her amazing outfits and beautiful figure, and Ibrahim (@FacetFilms), a noted film and television director. 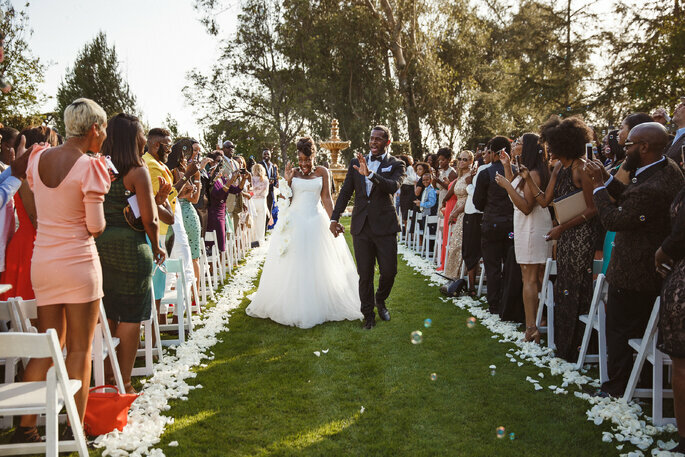 With just those credentials, you know the wedding in going to be spectacular! 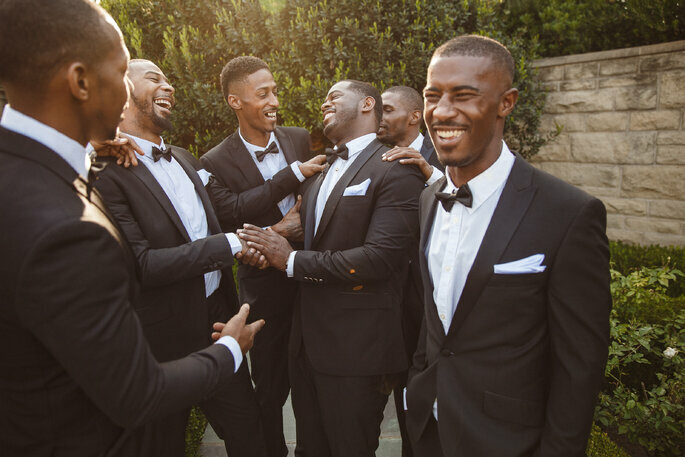 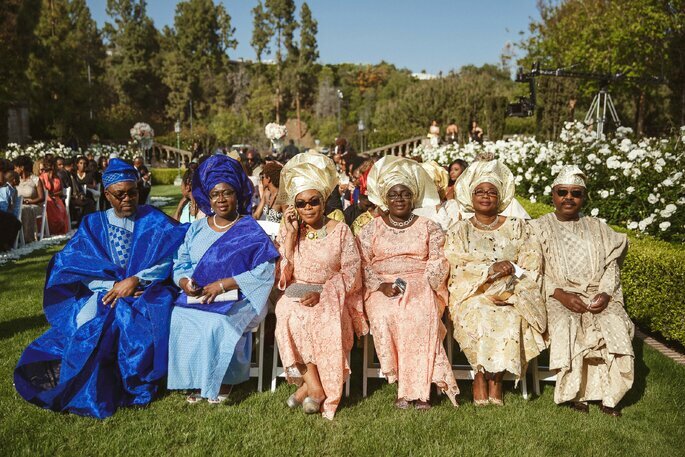 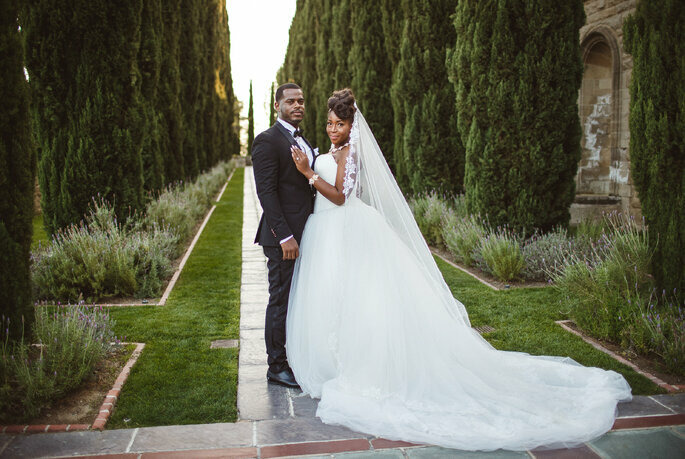 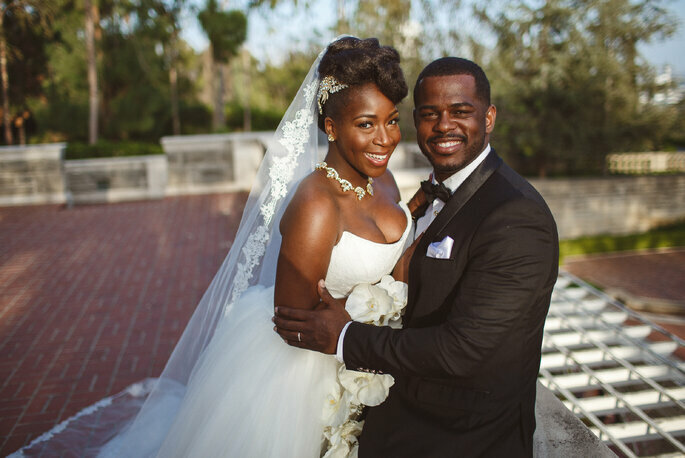 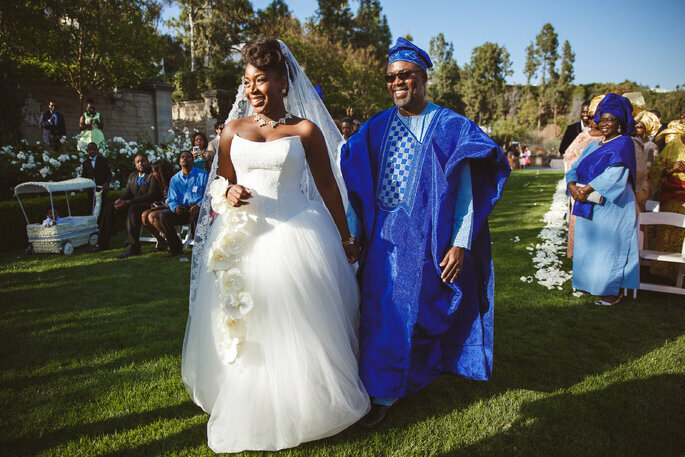 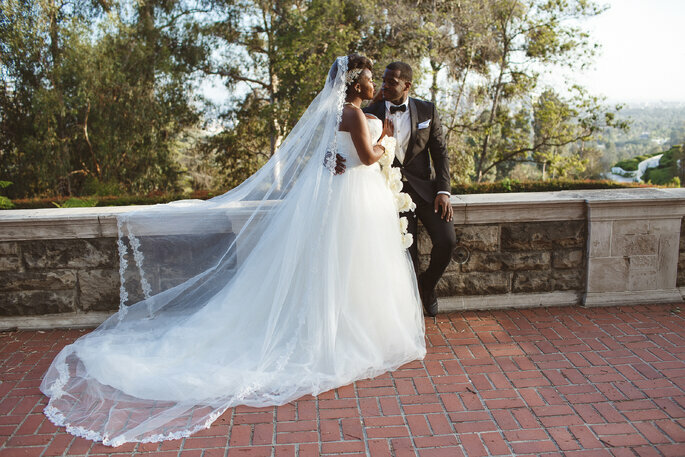 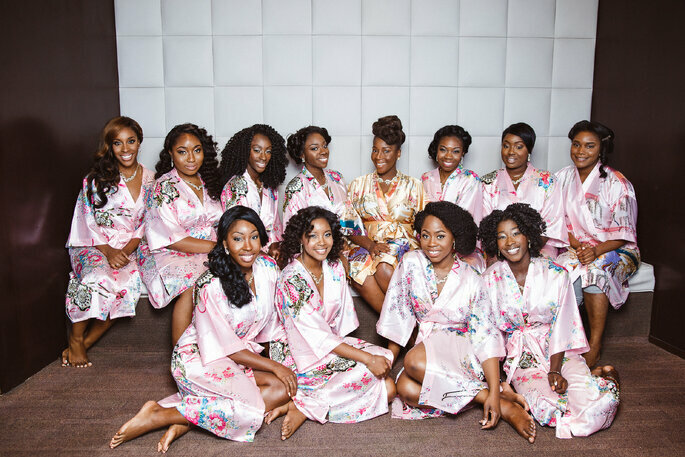 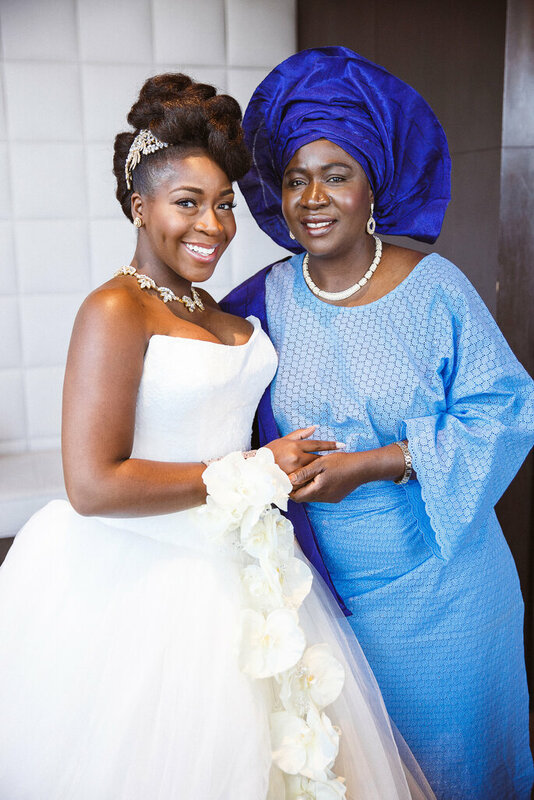 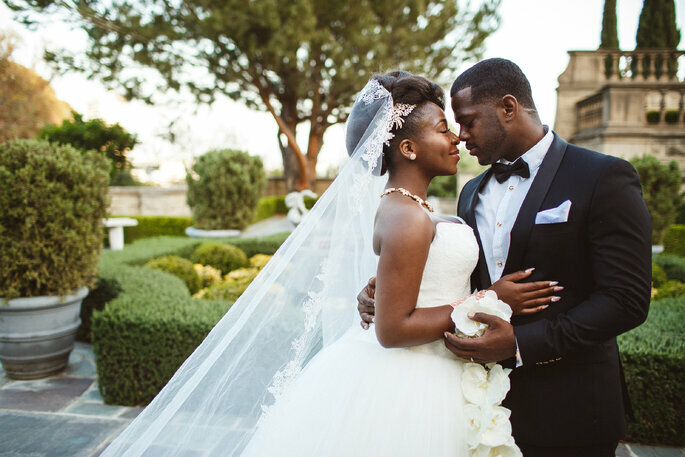 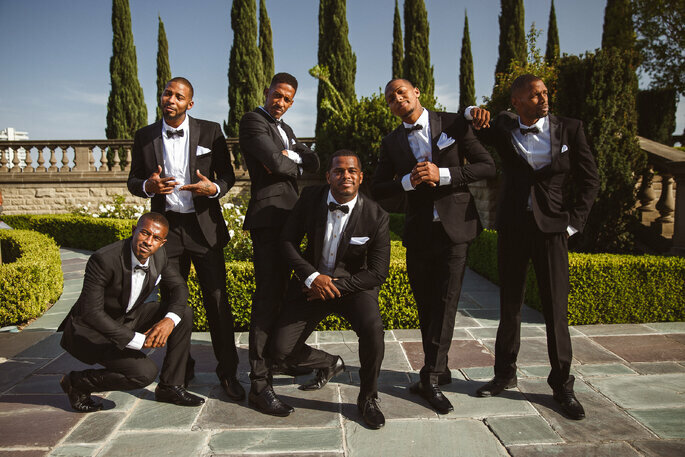 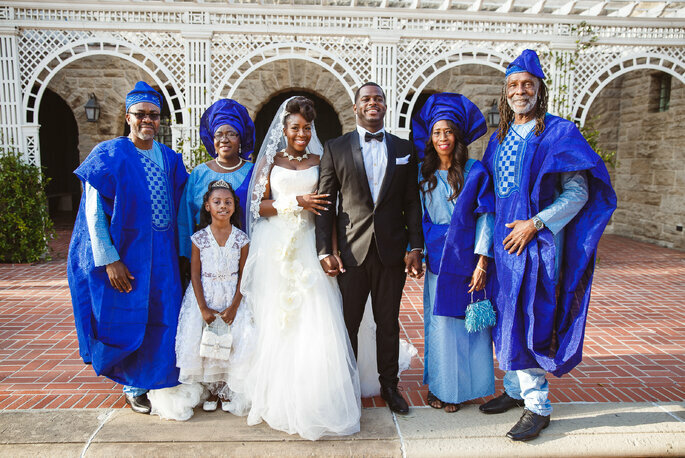 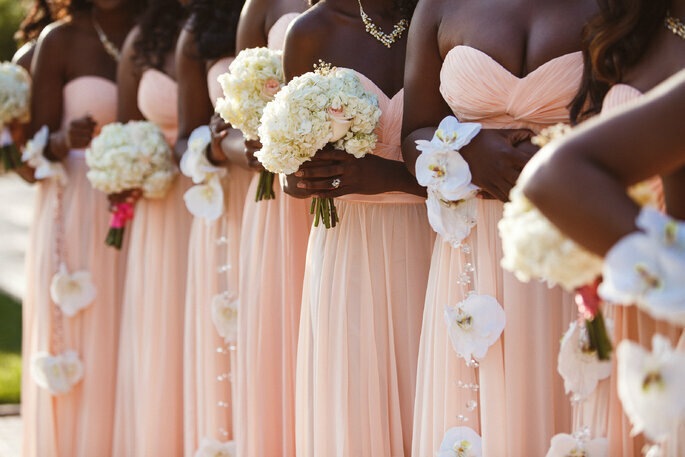 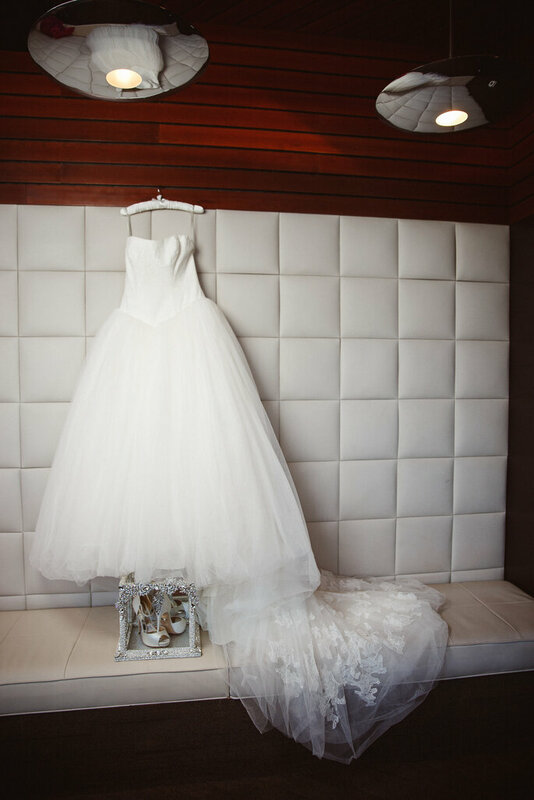 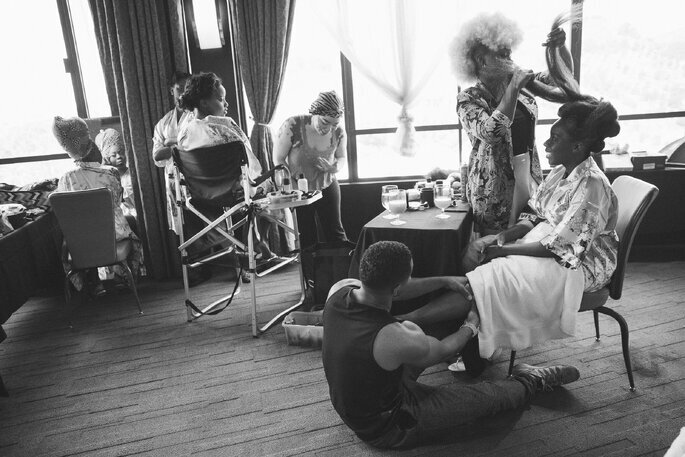 Captured by Kirill Karetin, the lavish Hollywood wedding beautifully mixed African and American traditions. 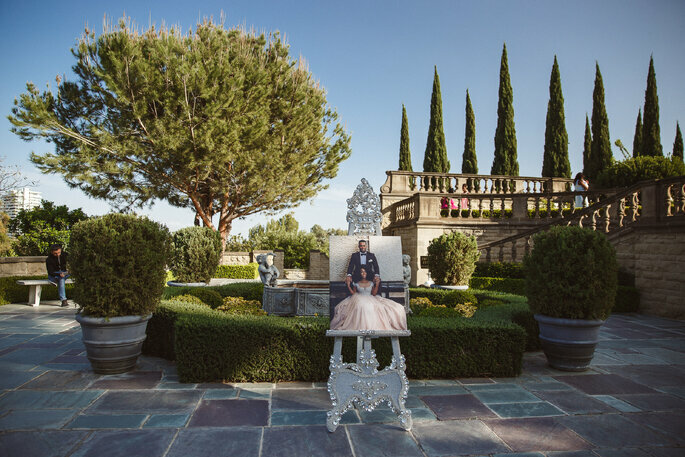 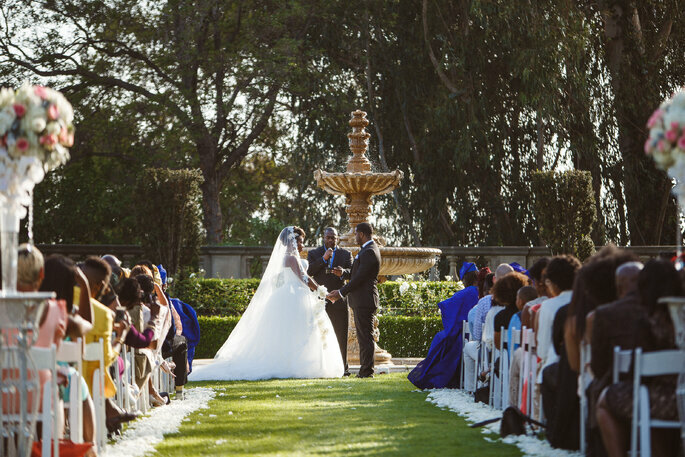 The ceremony was held in the stunning gardens of the Greystone Mansion in Beverly Hills. 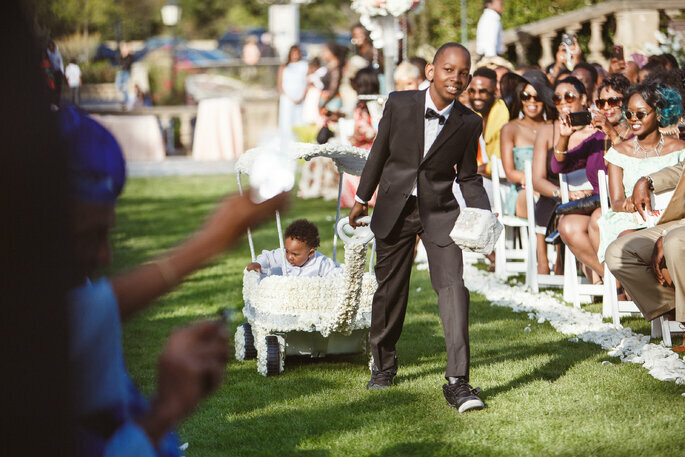 Ibrahim surprised his ladylove with a romantic public proposal on the runway of the Facet Fashion Show. 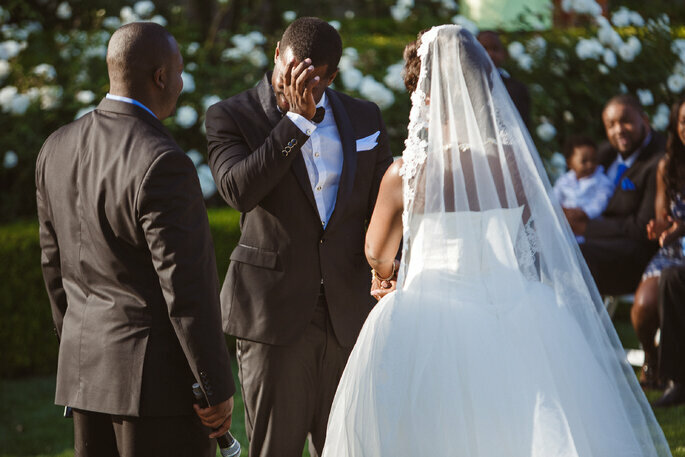 In front of five hundred guests, Dunnie’s man dropped to one knee and popped the question with a beautiful rose gold diamond engagement ring he had custom made just for her. 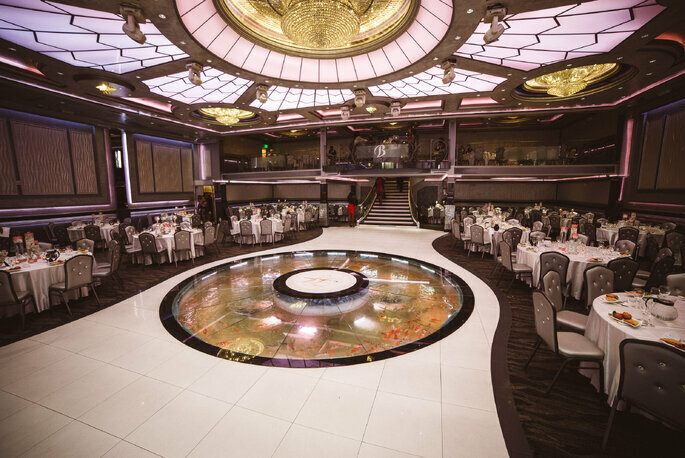 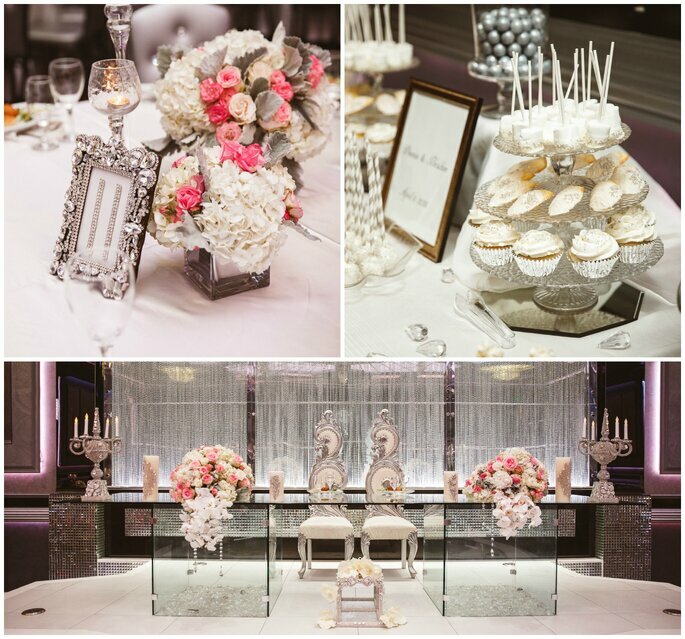 The reception was held at the Bellaire Banquet Hall – don’t miss the amazing glass floor and aquarium underfoot! 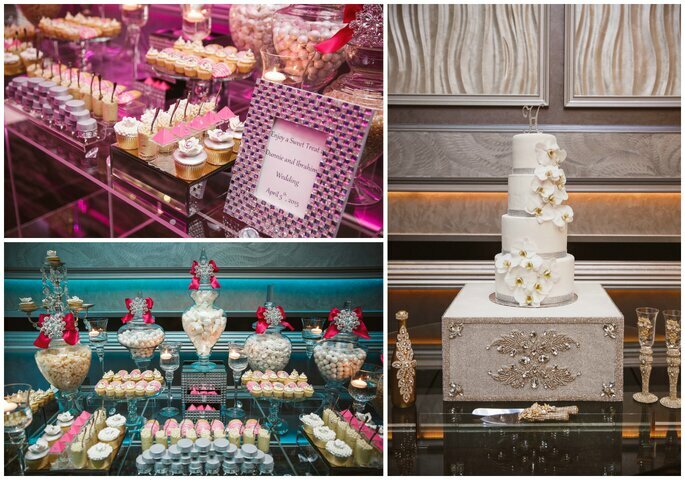 And how lovely are the dessert displays from Platinum Candy Buffets and NewNy Pooh Cupcakes? 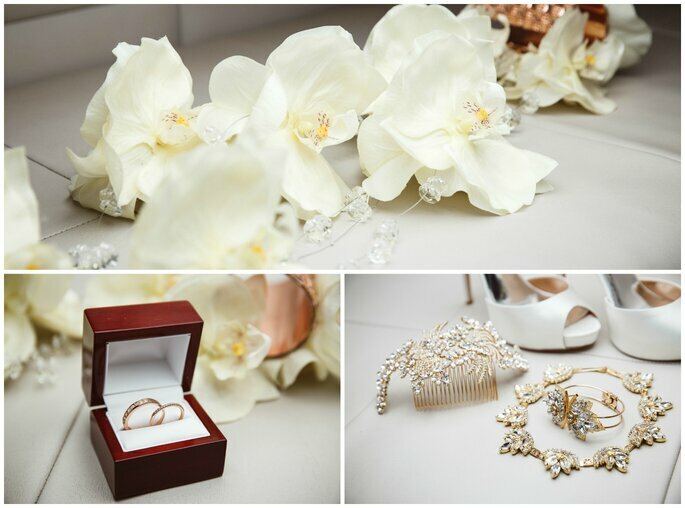 Would you like to contact Kirill Karetin?